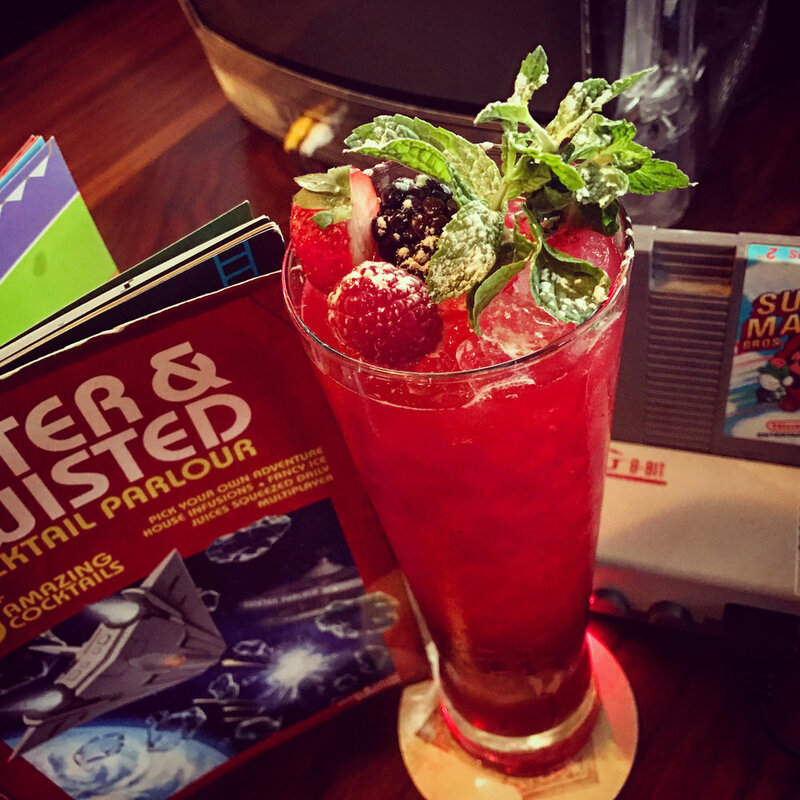 Known for their inventive menus, this video game themed one didn't disapoint and this Whiskey Berry Jubilee didn't either. Off the new Menu... just look at this glassware! whiskey neat and a glimpse of that fabulous art installation. A lovely cocktail paired with Jamaican food. A gorgeous Whistle Pig Whiskey masterpiece by Dustin Bolin. This is the 'Coffee & Cigarettes' it's everything that is right about having vices and just look at that clear ice. You just just a peek of the bar and some of the beautiful tinctures waiting to dazzle you. I don't normally post multiple pictures from the same places but come on look at this beauty! Hot Cuban cocktails to pair with warm Phoenix nights. This is my home turf so of course it's at the top of my list. The food and drink scene in Phoenix has exploded in the last 5 years. 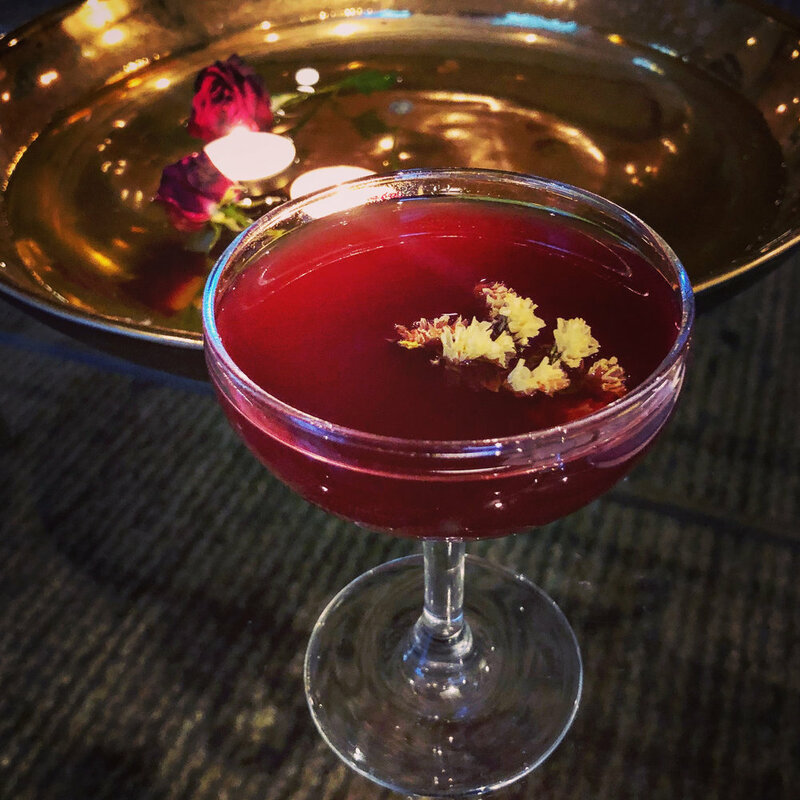 When I first moved here I only had a couple of craft cocktail options, today I have dozens of places, Many of whom are regular nominees at Tales of the Cocktail for their inventive concepts, drinks, and menus. I’ve listed them by city/neighborhood including Phoenix, Arcadia, Biltmore, Scottsdale, Chandler and Gilbert. It is housed inside the former Arizona Prohibition Headquarters - who doesn't love a bit of irony? Bitter & Twisted is an award winning cocktail bar that has an extensive menu. By extensive I mean, 70 inventive drinks with a tasting map to help you navigate. They also have great small bites, in my opinion the popcorn is life changing. No reservations & they get busy so use the NoWait app to get your place in line on weekends. This is a high-volume bar that never sacrifices quality, a must visit. Located inside the Hotel Palomar Blue Hound has an extensive spirits list and an inventive cocktail menu. It's also a great spot for a nibble before a concert or game at the local stadium. If you love good cocktails and live music Valley Bar is for you, so long as you don't mind a crowd. The bar is downstairs and the entrance is hidden in a back alley with no signage so go around back once you find the right address. Cocktails are named after local politicians and the bar is topped by a macabre art installation depicting Phoenix's most famous murder. The Valley Bar also has two sister concert venues within walking distance check out their websites for shows. The Vanburen and The Crescent Ballroom. Melinda's Alley is a small speakeasy style basement bar in the Renaissance Hotel dimly lit and full of your grandmother's furniture. They have a fresh menu of 5-6 cocktails that changes frequently. It's open Thursday-Saturday nights starting at 9pm. There are no signs so look for the red light in the Alley entering from Central Ave. They have over 150 rums on the menu including some rare and hard to find ones. Not to mention the most beautiful Jamaican food and fine cigars. I mean what else could you possibly need? Whether you love rum already or want to start your journey this place is for you. The Garfield Historic District is home to two new restaurants which reside across the street from each other. Garfield is the most recent historic district to start its revival. And these two places are anchoring the neighborhood restoration. Gallo Blanco, features fresh local ingredients with a Mexican vibe. While Welcome Diner mixes the comfortable decor of an American diner with southern favorites, inventive cocktails and just a little bit f*** you flair. An Asian inspired kitchen and cocktail bar. Voted best cocktail and best Ramen in Phoenix more than once. Clever Koi is delicious executed with a sense of fun. Don't let the casual atmosphere fool you, these guys are seriously talented. They recently opened Across the Pond in the same complex. If you want to take your cocktails even more seriously than your ramen drink and sip here instead. 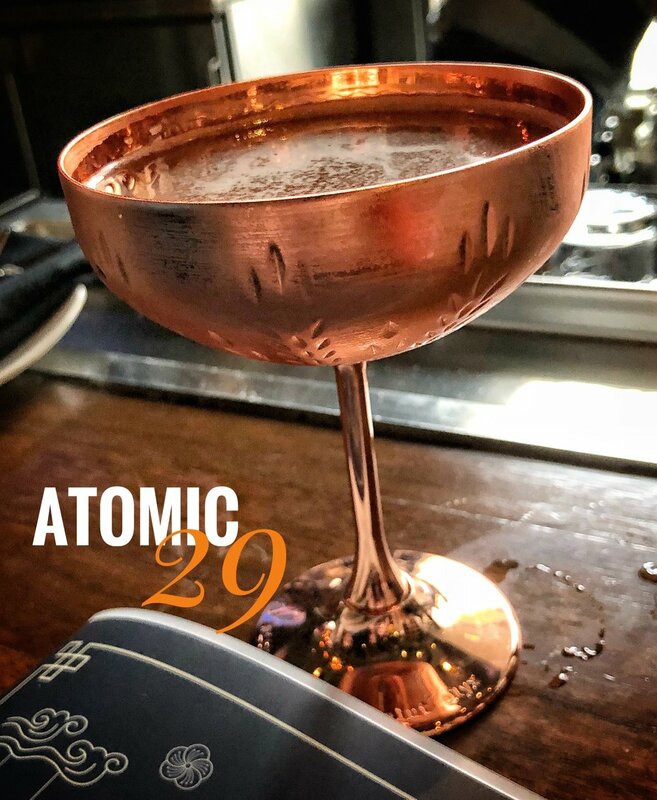 This hidden gem has always had great food but with the addition of mixology genius Dustin Bolin the cocktails are on par with the food these days. For goodness sake have the cheese curds, they are amazing. The Glady has the largest selection of whisk(e)y in Phoenix. They post their whiskey menu online as well, although I believe they also have some off menu items as well. They also make great cocktails. If you love Manhattans theirs is one of my favorite twists. It includes maple syrup and tobacco bitters. 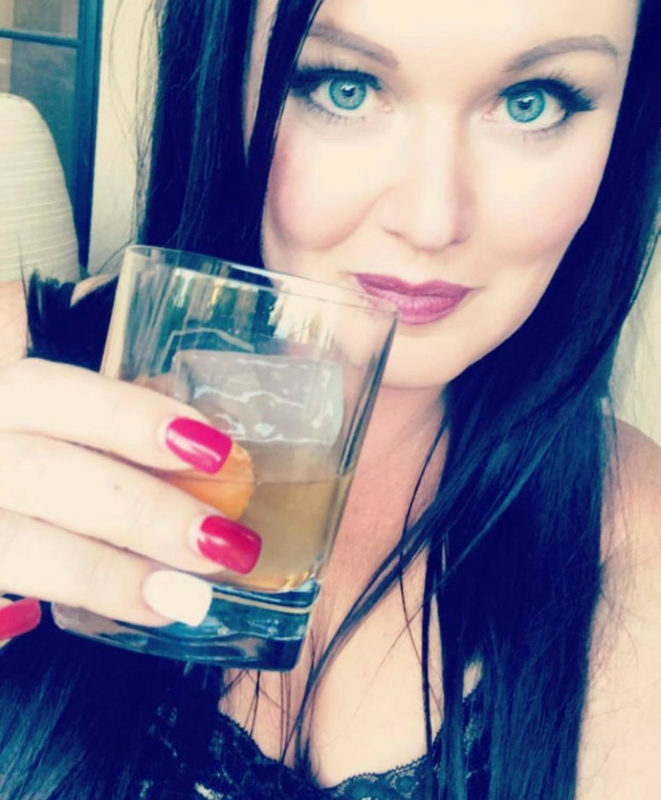 It's no secret I love a good cigar with my cocktail. Which is not always easy to find when I leave my back porch. This bar is located inside of Churchill's Cigars. The cocktails are not going to blow your mind but they have a solid whiskey list and can make all the basics. Plus the ventilation is excellent. A couple of years ago Phoenix was blessed with its first modern tiki bar. This is a not to be missed spot on your visit to Phoenix. Loving rum has little to do with the reasons why you must visit. It's tiny, tucked in the lower bay of what used to be a midas muffler. It only has a few seats and the design is superb, every handmade detail harkens back to a 19th century sailing ship. But don't let the authentic decor fool you, the cocktails are just as outstanding. Fresh ingredients, exotic fruit, and creative house made syrups. You will not find cloyingly sweet resort style cocktails here. They are boozy and delicious. So here is the 411. It's always busy, you MUST make reservations. Do it at least a few days in advance if you want to come on a weekend. The only way to do it is on their website. Reservations are limited to 90 minutes, you must arrive on time, and there is no food so plan accordingly. There are no signs for this place. Look for Sip Coffee and Beer Garage. Go inside, in the center of the room you will find a staircase with a tiki decorated outrigger over the top. If you want to read about the most recent voyage check out this article on my blog. Crudo is an award winning modern Italian Restaurant just across the street from Undertow (above). I've been know to made reservations at these two places back-to-back first drinks then dinner. But on nights where I want to just enjoy some nibbles head to Bar Crudo located inside the restaurant. They have a great spirits list and interesting cocktails. The Crispy Pig Ears with fresno chili vinaigrette are a must try. Forget how you think you feel about pig's ears... these are addictive. Okay technically this is a restaurant. But CRU deserves to be on the list. Their cocktails are great and they have a rotating cocktail of the month designed by a local cocktail celeb which is always fantastic. They also have arguable the best gourmet tacos and octopus in the city. Ask for Jason (one of the partners) and tell him I sent you. I love this little mostly outdoor spot. It feels decidedly Arizona. Big fire places and nibbles with live music on the weekends with a Spanish flair to it all. The restaurant is great but the bar offers a less expensive and more casual alternative with the same feel. This new little speakeasy is making a name for itself. Tucked away inside the Hotel Adeline it’s a true hidden gem. They also have an attached cigar patio. Bring your own or buy one of theirs. Look for the phone booth and go inside. You’ll need a password though. So I encourage you to follow them on social media. If you want the Maven’s personal password send me an email or DM on social media. Miguel is a master behind the bar. You can be sure he will treat you right and delight you. I am more than a little bit obsessed with 1930’s Havana. The prohibition haven for starlets, writers, & the wealthy. The cocktails and lore are fantastic. The Scott Hotel in Phoenix houses the Canal Club which is a fabulous mix of Havana & New Orleans with a desert twist. If you come in prime season you might just sit in the warm breeze sipping a cool drink and wonder if that’s Hemingway across the patio. If bitter is what you love Virtú is your kind of people. They have the best amaro selection in all of Arizona. Including vintage and rare Amari. Their Italian food is also incredible. All made from scratch with many ingredients imported from Italy.